Adorable retreat on a large acre lot in the Laughing Water Beach Community. Perfect landing pad for your North Fork expeditions with the beach and vineyards a bike ride away. Take advantage of the Laughing Water Beach/Marina for association members all summer long. Seasonal Cottage offers super low taxes! Hello, I’m interested in 705 Nakomis Rd and would like to take a look around. 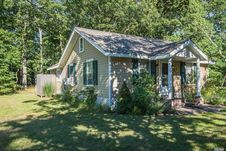 The details on 705 Nakomis Rd: This house located in Northfork, Southold, NY 11971 is currently for sale for $399,000. 705 Nakomis Rd is a – square foot house with 2 beds and 1 bath that has been on Estately for 7 days. 705 Nakomis Rd is in the Northfork neighborhood of Southold and has a WalkScore® of 8, making it car-dependent. This house is in the attendance area of Southold Elementary School and Southold Junior Senior High School. Listing Courtesy of: MLSLI and Century 21 Albertson Realty.